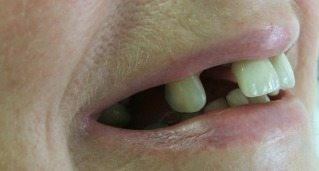 Not all that long ago, a missing tooth meant having to put up with a permanent gap or wear dentures. Dental bridges improved these options considerably. But now, you have a further choice which really can be seen as the ultimate in permanent tooth replacement – dental implants. Dental implants offer you an amazing combination of realistic appearance and faultless performance. Whether they’re used to replace a single tooth or a number of teeth, the results are exceptional – the closest thing to having your own natural teeth. In effect implants are artificial tooth roots, made from titanium. After your Cliftonville dentist has gently placed them into your jaw an extension is secured to the implant – this is what will hold the replacement tooth. 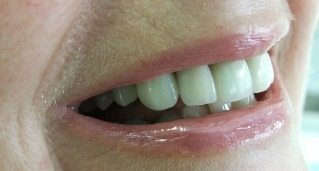 Replacements are made from realistic ceramic material by a specialist dental technician. They are then carefully shaped and contoured to match your other teeth. Our Cliftonville dentists are highly experienced in placing dental implants and have been offering advanced Nobel Biocare implants since 2004. You’ll appreciate that that the ultimate form of tooth replacement demands highly accurate placement skills to complement the quality of the materials we use. To help us in this, we have a CT scanner available for implant dentistry here at our Northampton practice. This ensures that we have the fullest possible picture of your jaw structure and dental issues before proceeding. We are one of the few practices in the whole of the county offering this technology. When any part of the body is put out of use, it tends to wither away. If we take a tooth away the gum will shrink, underneath the bone that used to support the tooth will find itself with no reason to stay and will also shrink away. This can cause the face in that area to sink in a little. There are some factors that speed up the bone loss process. One of these is the use of dentures when you clench; dentures squeeze the blood out of the gum. This reduces the blood supplying the bone and causes accelerated shrinkage. In addition teeth that are associated with infection may result in faster loss of bone. This is why diseased teeth should be removed soon so that bone is not lost. Another impact of missing teeth is how it affects the remaining teeth in the mouth. The teeth immediately in the vicinity of the gap can drift towards the gap creating food stagnation areas, and in addition the remaining teeth in the mouth have to work much harder due to the missing teeth which can cause them to be overloaded and lead to further problems with them. What are the advantages of a dental implant compared to a denture or bridge? The advantages of implants are multiple and very significant. Its main advantage over a denture is that it is fixed and so you have the confidence to eat and talk without the fear of it moving or slipping, and you can taste more of your food compared to a denture as the roof of your mouth will not be covered by plastic. When a missing tooth or teeth are replaced by a bridge, the teeth on either side of the space have to be ground down to provide the anchors for the bridge. When an implant is used instead, these teeth can be left untouched, and so the implant is a far more conservative solution. Is everybody suitable for dental implants? There is no upper age limit in order to be suitable for an implant and as long as you have sound dental health then dental implants will almost certainly be suitable. However there is a minimum age of approximately 20-21 as we need to know the jaw bones have stopped growing. There are some factors that make implant treatment difficult including certain medical conditions, especially conditions affecting the bone or e.g. diabetic patients who generally have poorer healing. It should be noted that heavy smoking or drinking can have an adverse effect on the health of your gums and bone, and compromise the prognosis of implant treatment. We naturally require adequate height, width, and volume of bone to be able to place an implant. During the consultation, we assess all of these factors and judge as to your suitability for the treatment. Why Choose Us For Your Implant Care? As a team we have advanced training in implant skills and use implant techniques recognised for their innovation and reliability. We invest in the latest, most advanced equipment and offer you comprehensive planning to ensure the type of implant treatment plan selected is the best suited to your needs and budget. We use the Nobel biocare implant system which is the world leader in dental implants; they have carried out more research into dental implants than all of the other major dental implant companies put together. We have decided to use this sytem because we want to use the best for our patients. Implants have been available for forty years and have a wealth of excellent scientific data which shows that they are a very successful long term treatment (success rates of over 95% over a fifteen year period). The implants are made of commercially pure titanium which is a very special material in that it is well proven for its strength and safety as the body does not reject it as foreign. It is the material that is used for hip replacements. The majority of patients are already familiar with local anaesthetic used by most general dentists. The placement of an implant is gentle and precise and utilises the same local anaesthetic. During the days following surgery you may feel some minor discomfort, as this is part of the healing process but simple painkillers will alleviate the pain. How long does the treatment plan take? Your personalised treatment plan is divided up into a series of appointments spread over 5-10 months depending on the complexity of the case. At the consultation, we will discuss with you the number of appointments that are required and the timescales involved. If you have no teeth, even the best made full or complete dentures are only about 30% as effective as natural teeth. Dentures can be attached to implants to make them very secure. This means that you, the patient, can eat almost all foods without embarrassment and nobody will know that you have false teeth. Whenever you are having a tooth or teeth replaced you should at least consider the implant option and compare the benefits against the more traditional approaches. As with most things in life, you get what you pay for; an implant is often the ideal way of dealing with gaps, although there are cheaper alternatives including a denture or bridge that may satisfy your needs. Implant treatment is cost-effective in the long run. We always provide a quote after our assessment, and are able to offer interest-free and low-cost finance which allows payments to be spread over 6-60 months (T & Cs apply).